Knocknarea. 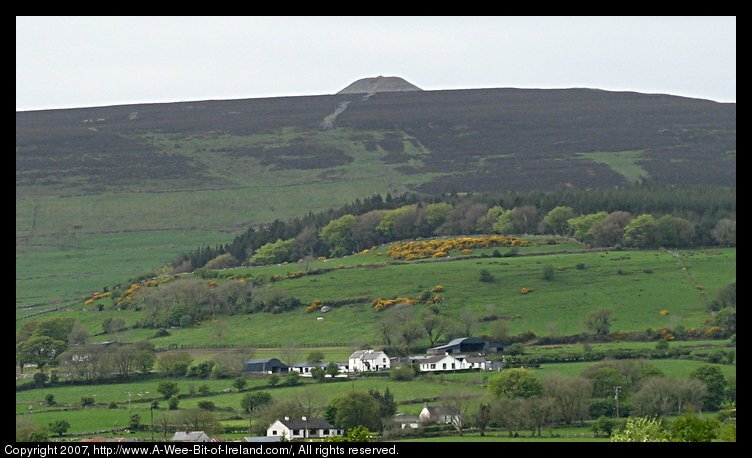 Queen Maeve (Medhbh), Goddess and mythical Queen of Connacht, is said to be buried in a mound on top of this hill. One of the famous stories about her is "The Cattle Raid of Cú Chulainn". This is said to have ended at Benbulben Mountain near Drumcliff.